Bawtry Motor Auctions, one of the country's oldest motor auctions, is planning to take on the large auction house facility in Rotherham after the original operators went into administration. In 2014 a planning application was approved to change the use of the Carr House site on Greasborough Road into an auction centre. Close to Barbot Hall Industrial Estate, the property has previously been home to Transco, Fulcrum, British Gas and East Midlands Gas Board. UK Auctions PLC operated the site, hosting regular vehicle auctions until the company, previously known as Vehicle Locators PLC, entered administration in 2015. 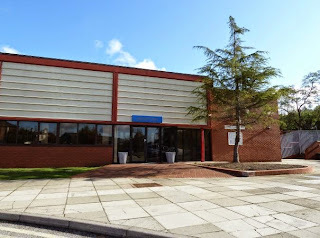 New plans have now been submitted by agents Knight Frank on behalf of Bawtry Motor Auctions outlining a relocation to Rotherham and bringing the facility back into use. It involves minor amendments and modifications to the approved planning permission to allow for the reuse of a currently vacant building. The plans state: "Bawtry Motor Auctions currently operate from their existing site at Corner Garage, Bawtry, Doncaster where they employ 54 people. This planning application will facilitate the relocation of the business to the proposed site. "Whilst the proposal will involve a number of staff relocating to the new site, a substantial amount will also need to be sourced from the local area. The relocation forms part of a significant expansion, with job numbers anticipated to grow to 60 within a year." Bawtry Motor Auctions currently holds vehicle sales days on Monday, Wednesday and Friday and its first "Grand Show & Motor Auction" was held in 1947. It hosts sales from vendors including The Car People and motor finance firms. BWC Business Solutions were appointed administrators for UK Auctions PLC in February. Its statement of proposals outline the difficulties encountered by the company when a key member of staff suffered health issues. After a substantial refurbishment of the leasehold property, the company commenced trading in May 2014. Needing to sell around 120 cars per week to break even, an industry professional was employed to source vehicles to sell at auction. The documents state: "Unfortunately, the individual concerned had health issues and was unable to fulfil his ongoing role at a critical time in the auctions early inception." Another experienced industry professional was appointed in August with the aim of securing sales of 200 cars per week. Sales did increase but it was not a levels to make the company viable. The company closed in January 2015 with the landlord taking steps to forfeit the lease of the auction site.